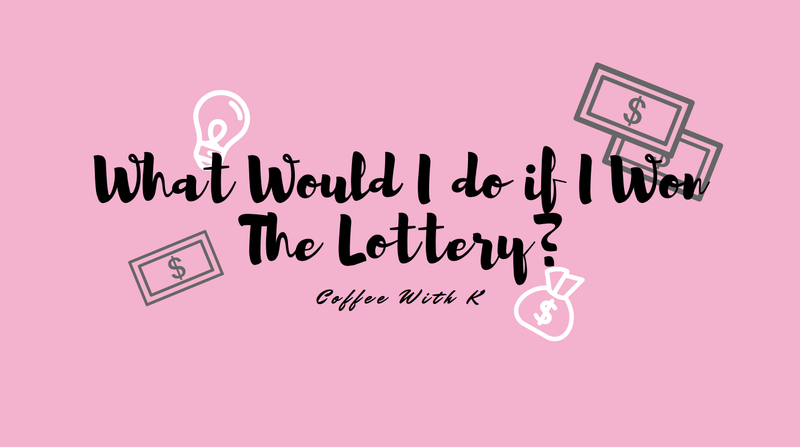 One of the best and exciting conversations you can have with someone is the “what would you do if you won that much money?” question when you find out a couple in the UK have won a whopping £67 million on the weekly lotto. I admit I have this conversation frequently, and for someone who only within the last couple of months bought their first ever lottery ticket, I sure have it all planned out. I think everyone is different in what they would love to spend their money on, who they would give and what they would invest into but I honestly believe a lot of that would go completely out of your mind if you really won the lottery. Even if I tried to be rational, a part of me would be like “I’LL BUY THE WHOLE OF SCOTLAND A HOLIDAY TO IBIZA”. However, me, being an eighteen year old dreamer, I thought I would make a list of the things I would do if I won the lottery. Of course this can completely depend on how much you won. (I’ve won £2.60 before, not bragging but ya know…) In this instance, I’m pretending I’ve won millions and millions and wouldn’t really know what to do with it. Just fantasise a little, ok? These are in no particular order by the way! 1. A holiday – I think nearly everyone would jet off somewhere nice and check off somewhere on their bucket list. For me, I would love to spend at least a month travelling to all the different places on my bucket list. I would also want a big family holiday, and take all my family somewhere to chill and relax. 2. A house & car – I’m getting the standard stuff over and done with ok. But yes, I would buy my dream car (which I don’t even have one, but just something that looks pretty.) And potentially buy a house or build my own, depending on how I’m feeling that day. Might do both, ya know. I did just win the lottery so I could, right? 3. Buy a big bit of land and build a dog kennels. I guess I would build my house with it? I definitely would want to invest into something I enjoy and dream to do. I couldn’t sit around and do nothing with all that money. 4. Give to my close friends and family. I would make sure my family were happy and comfortable and my parents could retire. 5. Donate. I couldn’t win millions and not donate to somewhere. I would select a handful of different charities and donate to them, and also donate to my local community where I grew up in. 6. Invest – I’m only eighteen so I don’t know all the ins and outs of investing and whether property is a good thing to go into and whatnot, but I’m hoping with all my money I can hire someone to figure that out for me. (just kidding haha, getting carried away here.) But yeah, I would definitely make sure my money is invested somewhere. 7. Get a dog – No explanation needed. 8. Build a library in my said dream house. It would be one of those massive dreamy libraries with the ladders and tall bookcases. 9. Buy books for this said library. 10. Buy myself an entire new wardrobe. Don’t tell me you wouldn’t do that either! I could get completely carried away and go on and on, but I thought I would leave you with my top ten. What would you buy if you won the lottery? Let me know in the comments!